As regional logistic center with a floor area of 18,826.14 m2, SMC Singapore houses a large and comprehensive range of pneumatic components extending to more than 30,000 products variations. 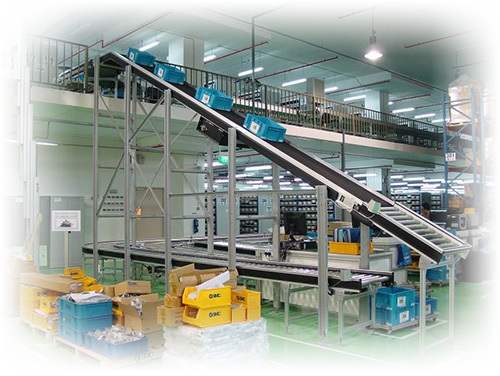 Productivity and efficiency of the warehouse are enhanced by implementing highly automated warehousing system, fast picking & packing process complemented with twotier conveyance system speeding up the delivery process, meeting growing demands of short delivery schedule. We promise next-day delivery to island-wide customers. We have established a dealer network distribution of over 15 regional distributors in the markets across regions such as Indonesia, Vietnam, Sri Lanka, Pakistan, Saudi Arabia, Kuwait, Nigeria, UAE and Egypt.